Balancing and monitoring wine pH levels is no easy task. Vinting the perfect bottle of wine is a mix of both art and science. Compared with other alcohol production methods, the wine production process is an intense tightrope. Every aspect of the winemaking process must be perfectly balanced. The grapes you use and how you process them, the casks, the fermentation process, the bottling method, there are many different aspects to winemaking. In particular, pH in winemaking can have a major impact on the final product. If the wine’s pH levels are not properly balanced, it could affect or even ruin the taste, smell and the color of the wine. If you’ve ever been to a serious wine tasting event, you may have observed that tasters place a lot of emphasis on each individual factor. First, you observe, then you smell, perhaps you swirl as well, aerating the wine in the process. Then observe again and finally you taste. A truly world-class wine must excel with each sniff, every swirl, and upon every tongue. The wine itself must be as close to perfection as possible. For this reason, many wine vintners now use wine testing equipment to closely monitor pH levels. All wines are acidic. Usually, a wine will fall between 3 to 4 on the pH Scale (which ranges from 0 to 14). White wines are usually more acidic, falling between 3.0 to 3.4. Red wines are generally less acidic, falling between 3.3 and 3.6. In terms of acid percentage, your average table wine will have an acidity of 0.6 to 0.7%. These differences might seem small. However, consider that the pH scale is logarithmic, meaning a wine with a pH of 3.0 is 10 times more acidic than a wine with a pH of 4.0. If you’ve ever tasted a more acidic white wine and compared it to a mellower red wine, you will know that the differences in taste can be tremendous. Even slight changes in pH can influence a wine’s taste, color, and smell. Wines with lower acidity (and thus higher pH numbers) are also more prone to bacterial problems. Acidity can have a huge impact on the wine fermentation process. Fermentation is carried out by microbes, which in turn can be influenced by the acidity of the medium they are in. Acidity can also have a big influence on other additives, such as sulfur dioxide and enzymes. Again, this can have a major impact on taste, color, and smell. Let’s examine the influence of wine pH levels on taste, smell, and color more closely. We will also consider how proper wine pH testing can prevent problems from emerging. First impressions count, especially when it comes to wine. A wine connoisseur often examines a wine visibly at-length before even tasting it. Many will hone in on the color, which is greatly impacted by various compounds. Those compounds found in grapes, including polyphenolic compounds and anthocyanins, are especially important. Various other compounds within the grapes and other inputs can also affect the color of the wine. Tannins, for example, play an important role in stabilizing the wine’s color. Wine pH levels, in turn, can impact anthocyanins and other compounds. Generally speaking, a low pH level will correspond with reds and purples (low pH levels are more acidic.) As the pH level rises, other colors will come to dominate the wine, including blues and eventually colorless forms. By closely monitoring pH levels, a vintner can influence the final color of the wine. The pigments that determine a wine’s color are found in every part of the grape. However, they are concentrated primarily in the skins of grapes. In fact, white wines are generally fermented without skins, while red wines are fermented with skins. Regardless, the color of both red and white wines can be influenced greatly by the wine’s pH level. pH levels affect a lot more than color. pH levels will have a big impact on the taste and smell of wine. Specifically, lower pH levels are associated with tart and crisp flavors. Many white wines, for example, are known for being both crisp and tart. This should come as no surprise as they generally have a lower pH level. The full impact of a wine’s pH levels on its taste profile is difficult to outline without expounding at length. Again, pH levels can have a big impact on microbes, which in turn are necessary for the fermentation process. In some sense, a wine vintner is a “gardener”, trying to cultivate the perfect garden of microbes within the wine itself. As a wine’s pH level drops, it will become more tart and sharp. This, in turn, can crowd out more nuanced tastes, such as the fruitiness imparted by the grapes and other inputs. Wines with lower pH levels often have sharper but less nuanced taste profiles. While such sharp tasting wines have a time and place, many wine tasters prefer more full-bodied, flavorful wines. Even if our tongues get most of the credit, smell is also an essential component of taste. The effect of pH levels on wine can be observed not just through the tongue, but also the nose. As a wine’s flavor profile changes due to chemical and microbiological influences, so too will the smell. How do you adjust the pH of wine? As you can see, a wine’s pH level will have a big impact on the final product. This includes color, taste, and smell of the wine. Thus, any vintner who wants to produce a wine with excellent color, taste, and smell, will have to closely monitor pH levels throughout the wine manufacturing process. Many vintners strive to have pH levels close to perfect before wine fermentation. Acidity can have a huge impact on microbes, thus is it important to make sure pH levels are correct before introducing yeast. Smaller wine makers may test the wine pH levels with a pH probe and portable meter. 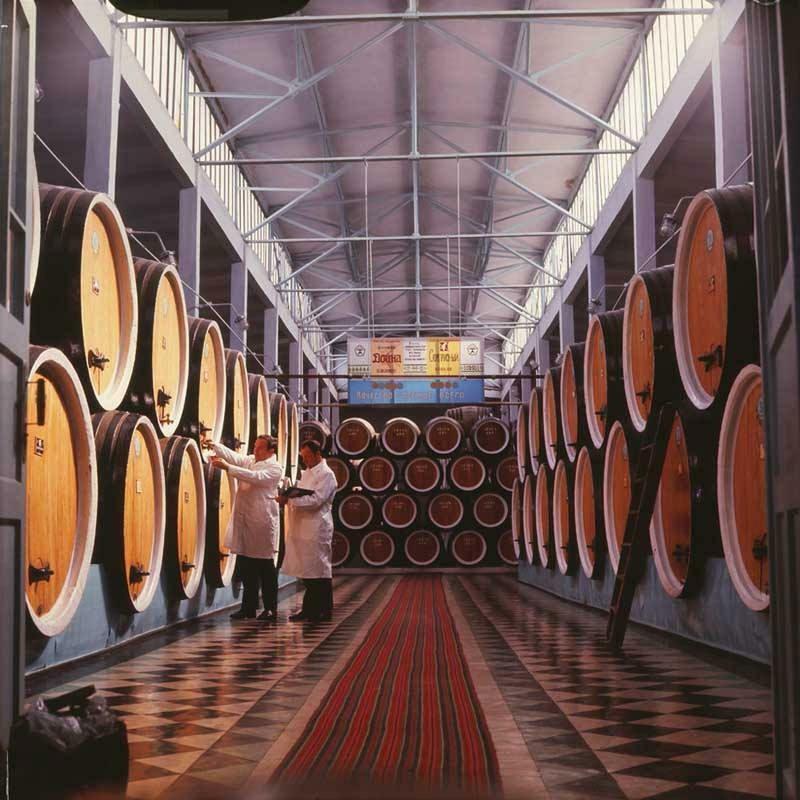 Larger facilities may use automatic pH control equipment as part of their wine manufacturing process. It is best to monitor pH levels periodically throughout the wine production process. Adjustments can be made by adding chemical compounds, such as potassium carbonate, which raises the pH. Wine makers use potassium bicarbonate to remove excess acidity before bottling. Measuring pH and making small adjustments will help the wine vintner ensure a good batch of wine.